Venus Williams, in only her second WTA match after a long illness layoff, upset world number three Petra Kvitova on Friday to reach the third round of the WTA and ATP Miami hardcourt tournament. World number two Rafael Nadal cruised in his opener and women’s top seed Victoria Azarenka stretched her win streak to 24 matches at the $9.6 million event, but seven-time Grand Slam singles champion Williams stole the show. “It’s definitely a big step forward,” Williams said after her 6-4, 4-6, 6-0 win. “To win these matches definitely a lot of it is mental, to get out there and believe you’re going to win and execute. “How I’m going to do, I never really know, so it’s great to have a win like this. It’s definitely satisfying.” Williams withdrew from last year’s US Open with the auto-immune disorder Sjogren’s syndrome, an illness that saps energy and causes joint pain. Her first tournament match since then was a first-round triumph on Wednesday. That put Williams up against Czech third seed Kvitova, who fought to reach a third set only to be overpowered by Williams after two hours and 18 minutes. “I was just trying to win the match. I didn’t even think about that it was six-love until like long after the match was over,” Williams said. Kvitova was impressed with how well Williams played after seven months away in booking a third-round match-up with Canadian wildcard Aleksandra Wozniak, who defeated Romania’s Monica Niculescu 4-6, 6-3, 6-4. “She played very well after a long time. She looks very ready, very fit,” Kvitova said. “The third set was really cruel for me. I knew what I had to do, but if I don’t return very well it’s tough to play against her.” Williams said she was playing with new enthusiasm. “I’m pretty pumped out there. Like literally I have nothing to lose,” she said. “Every shot is a victory and a blessing so I’m just going for it. Hopefully I have a new lease on life. 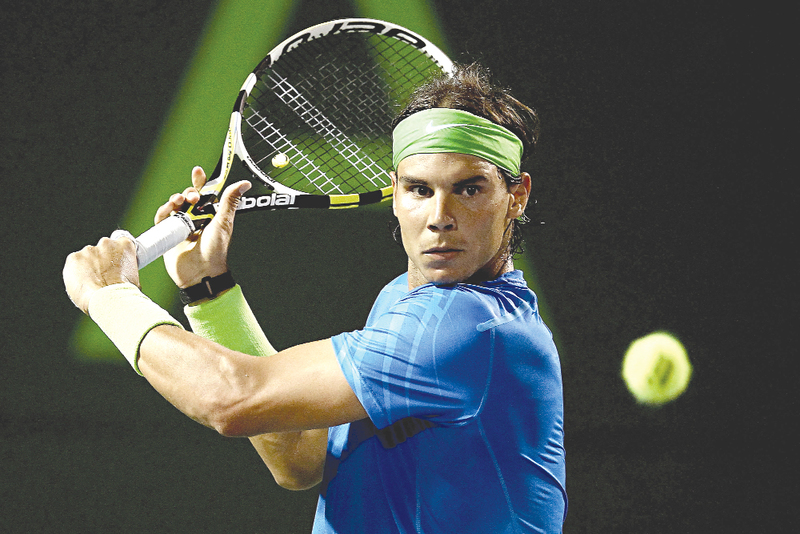 I just want to feel good enough to play.” Spanish second seed Nadal began his quest for a first-ever Miami title by ousting Colombia’s Santiago Giraldo 6-2, 6-0 in 69 minutes, saying it was not as easy a victory as he made it seem.